We worked hard and got the monster completed, and what a cool machine this has turned into! 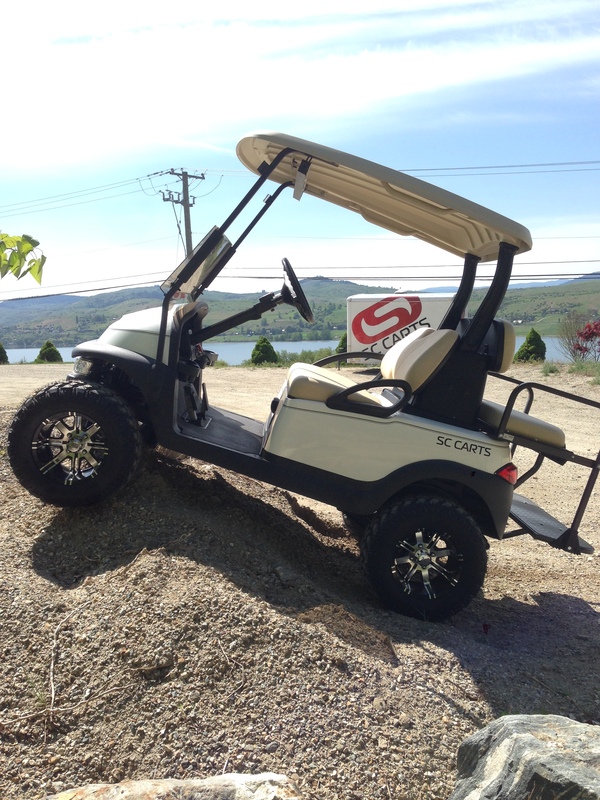 From the a-arm lift to the under glow LED lights this cart has some awesome accessories…we even added a turbo switch! Check out what we are talking about! 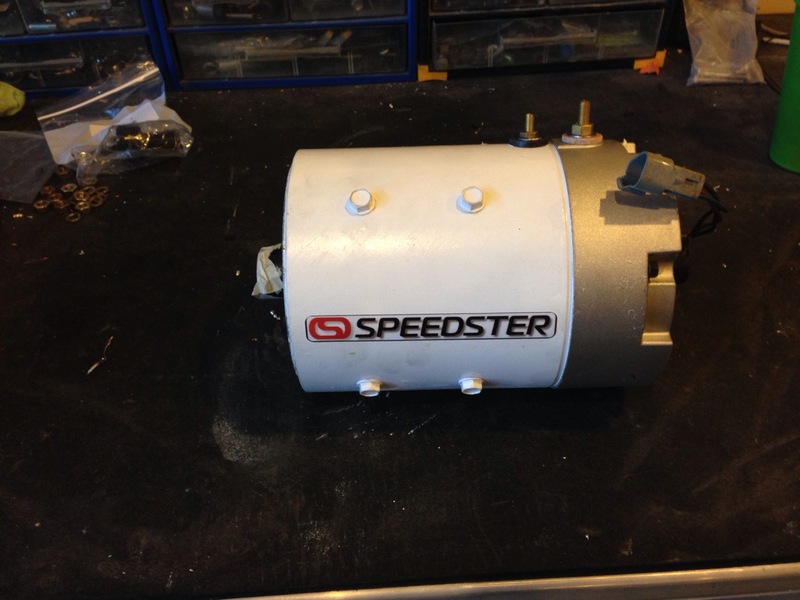 Here’s our SC Carts Speedster motor, the “Speedster” part of our Speedster Plus package. Installed and ready to rock. 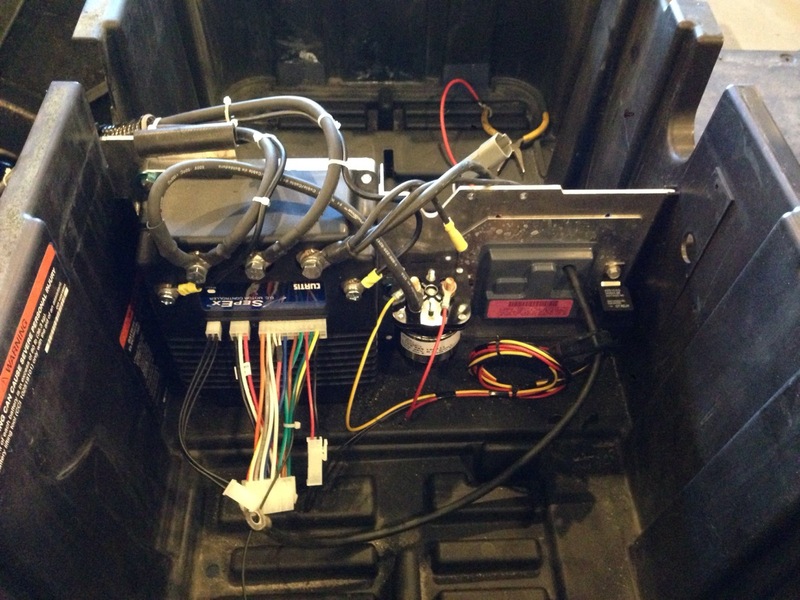 The “Plus” part of our Speedster Plus package, the controller and a HD solenoid take care of sending the Speedster motor it’s orders. All wires get upgraded to larger gauge to allow for better voltage flow. 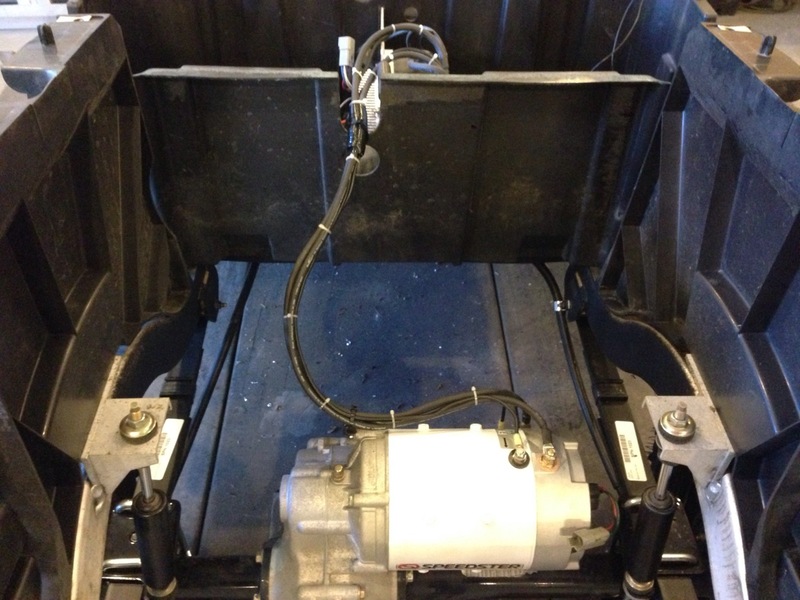 Heavy duty wiring to the motor from the controller! Keeping it tidy! 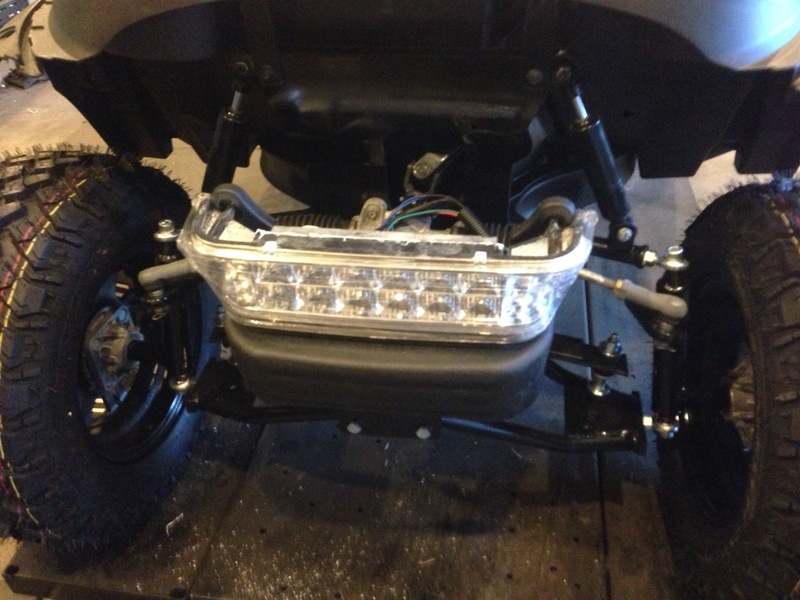 For the late nights at the resort this LED headlight will lead the way. 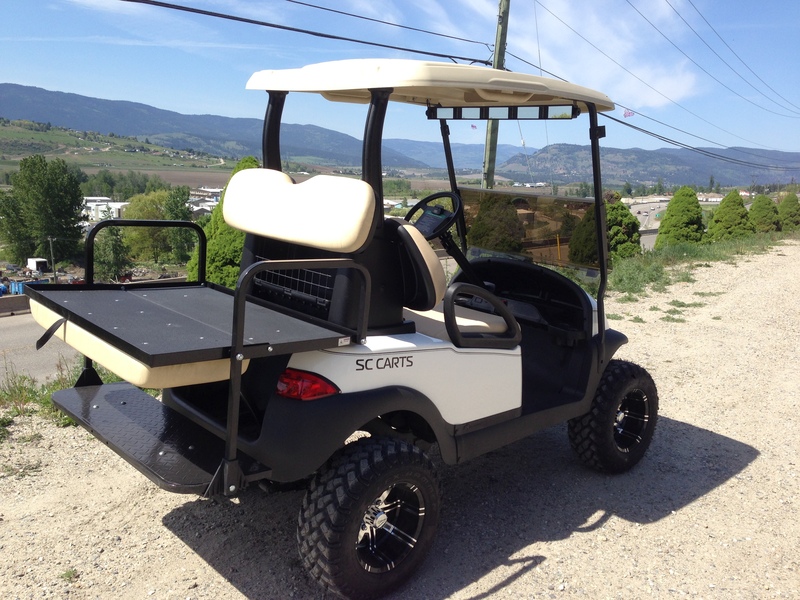 Because this cart will be on some of the same roads as vehicles, the customer wanted the full SC Carts road ready package, which includes signals, brake lights and horn along with the LED light package. AHHHH the Turbo switch! 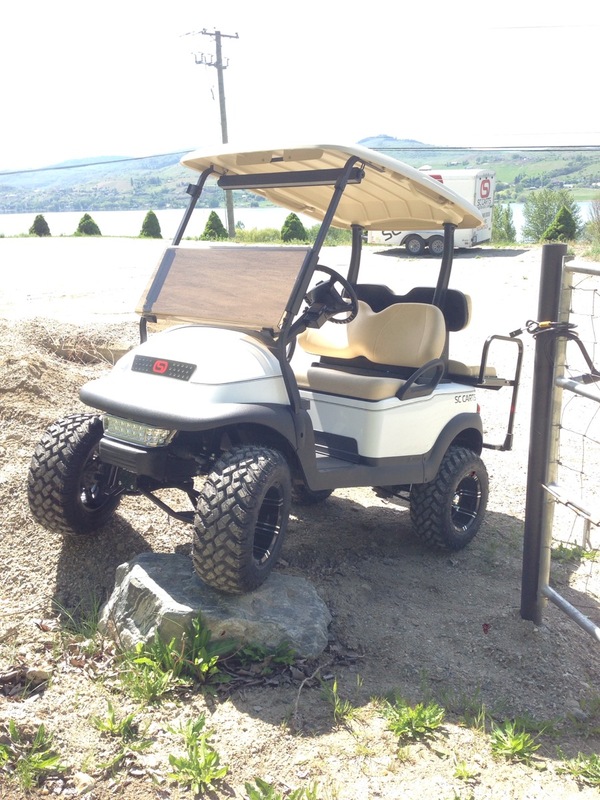 This is the first cart that we have installed this on. 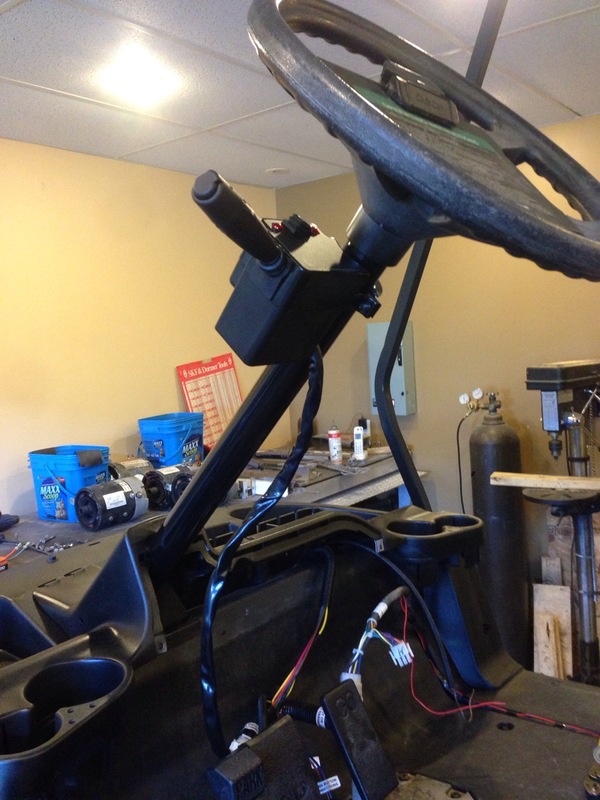 Working with our controller supplier they were able to provide us a switch that allows us to program two completed different set of parameters on for the cart. 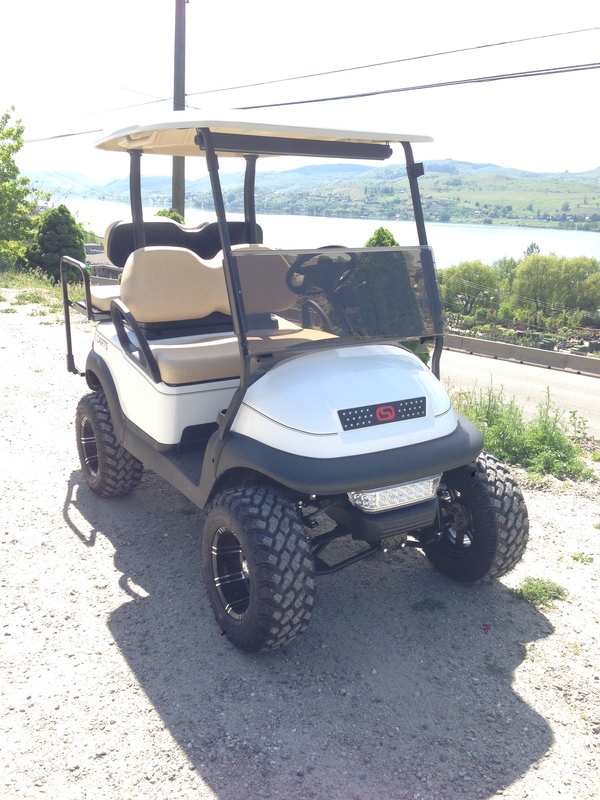 For this application we programmed the cart for fast and faster! 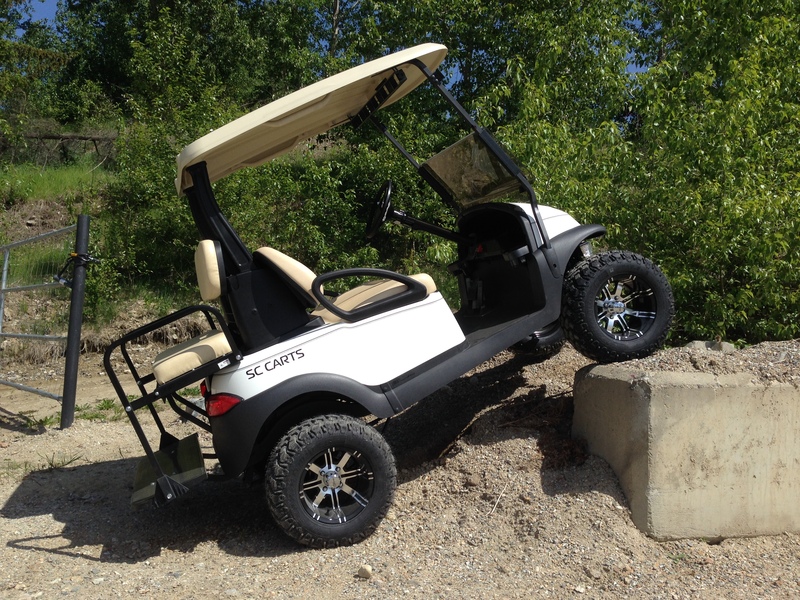 Also we can control how aggressively the cart accelerates and decelerates along with a heap of other features. The cool thing is our customer just flips the switch on the fly and the second set of parameters are loaded and away he goes! Underbodies and roof supports installed, now it’s coming together! 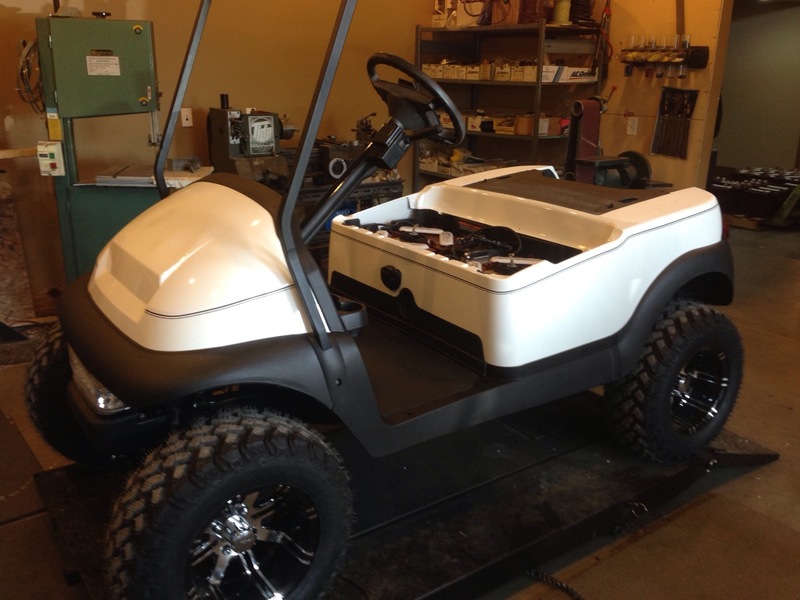 Trojan power and more wiring, this cart is going to be an animal! The white body with some black pinstripes. 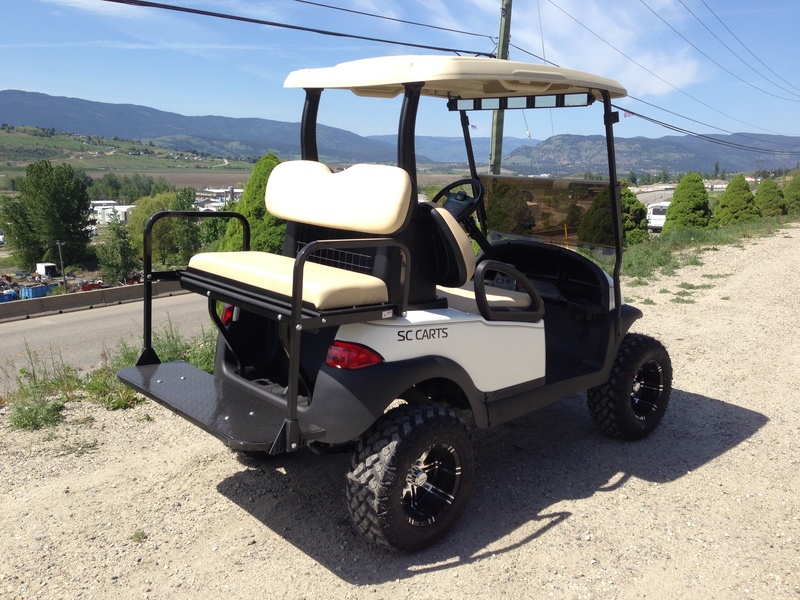 This is a great maintenance free choice for a resort cart. White doesn’t show scratches or dust like a darker color would! 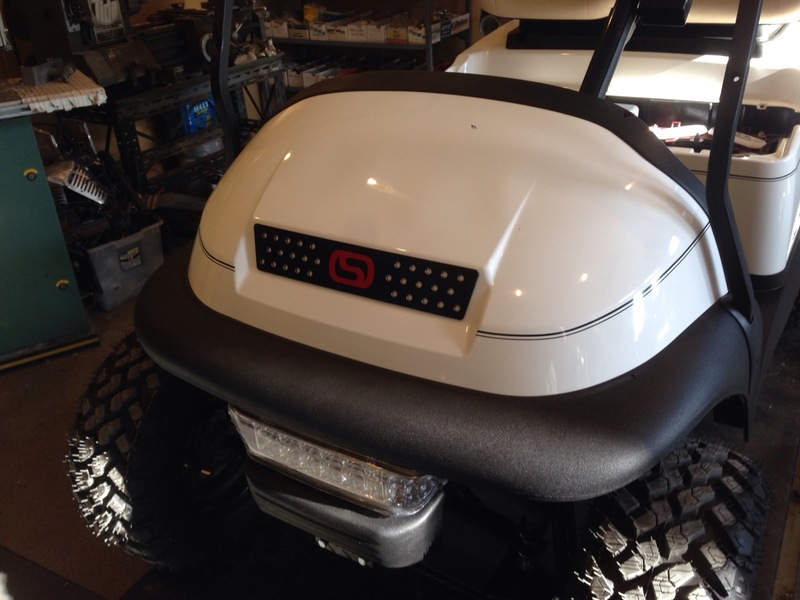 SC Carts custom grill finishes up the front end. Some sun shinning through the shop windows! 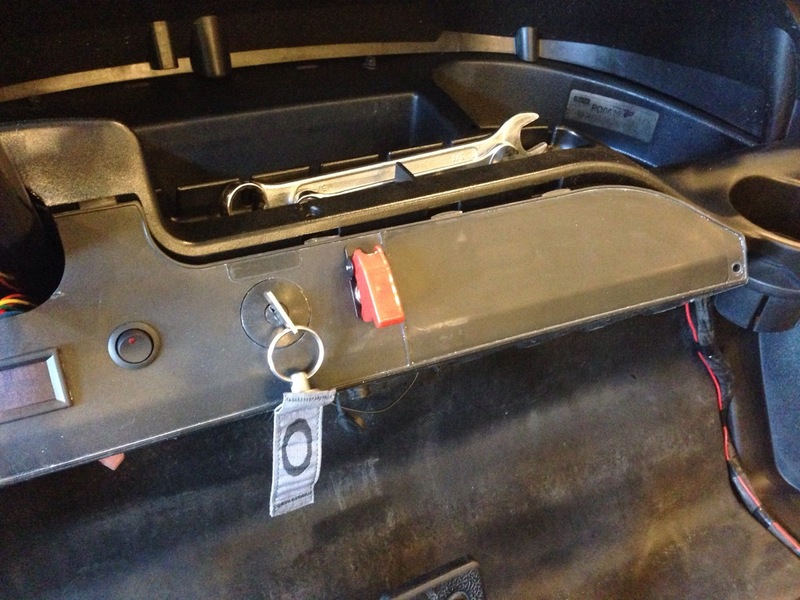 The rear seat kis installed and rear roof supports. It’s coming together. 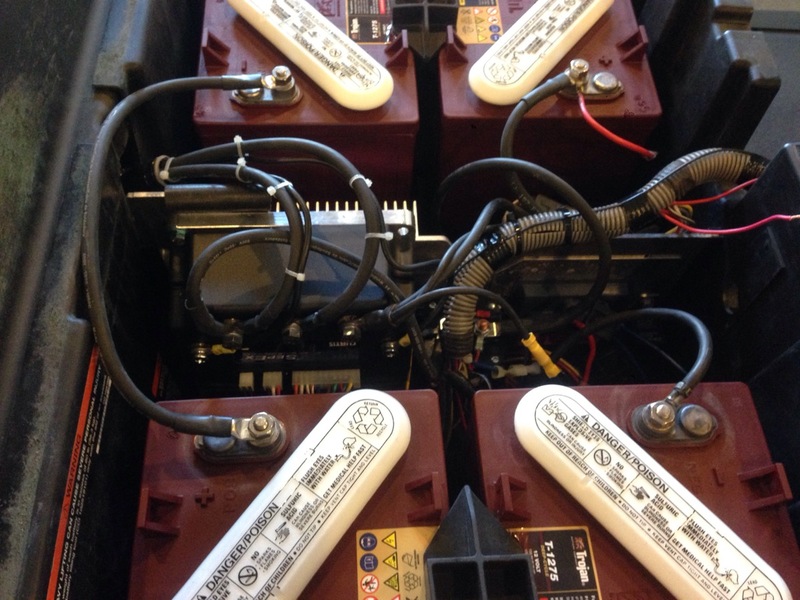 Because the cart will sit for extended periods of time, we have installed our 48 volt battery maintainer, so our customer will know his batteries are being looked after even when he is not there. 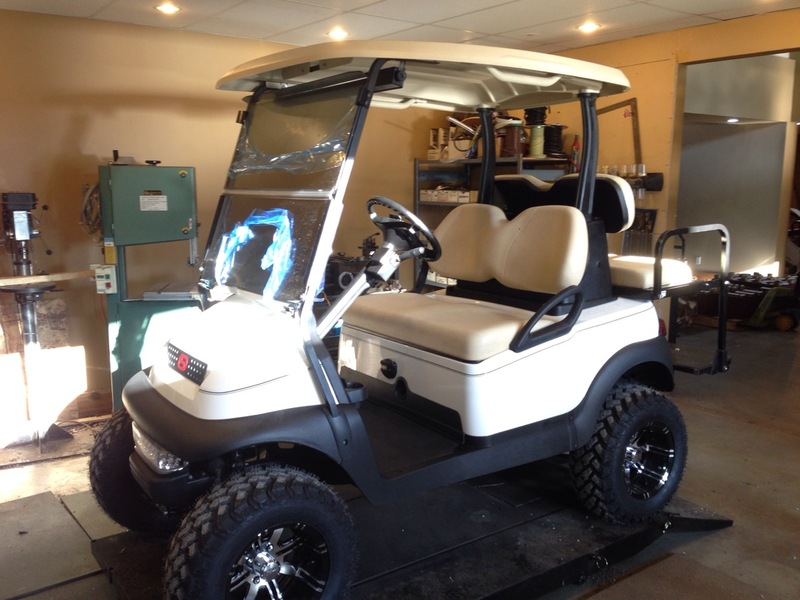 New OEM upholstery and an OEM windshield finish this build off! 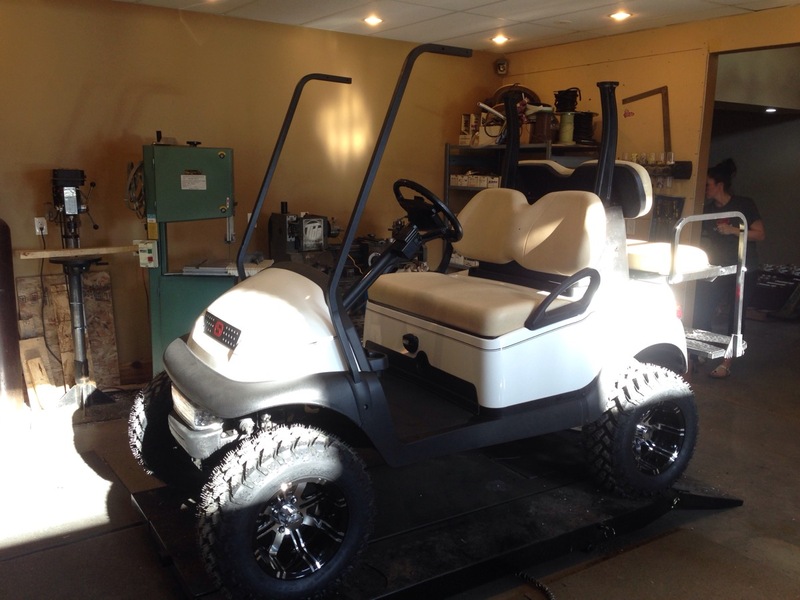 Time to get it outside and test it out! How sweet is this machine! 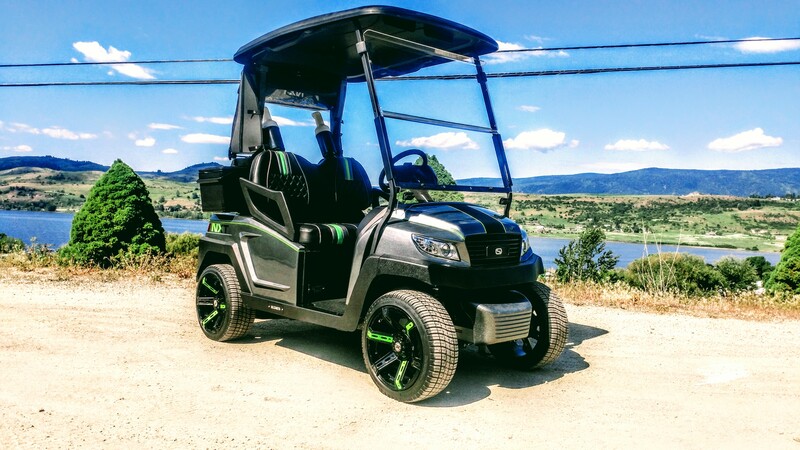 An electric cruiser that is fast, quiet and capable! The split tinted windshield provides great airflow on the hot trips down to the boat. 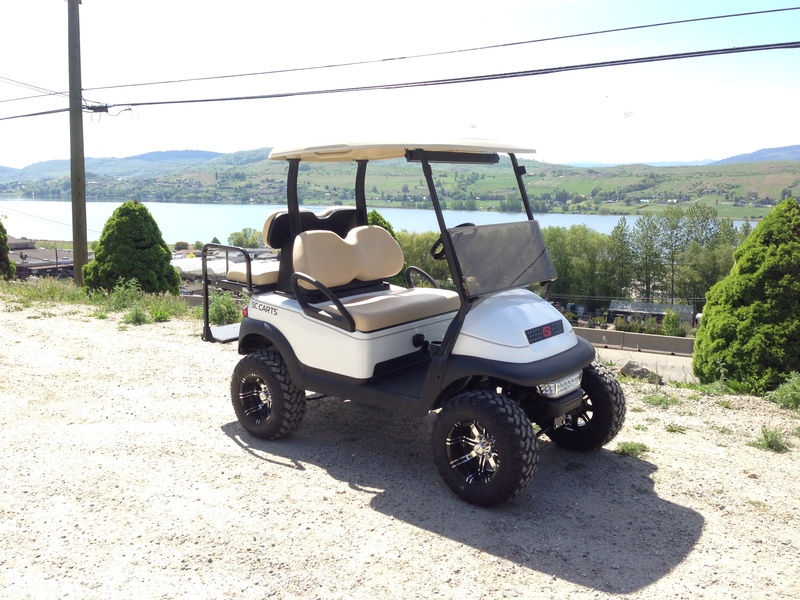 With the HD rear suspension and rear seat kit hauling 4 people is no problem at all! 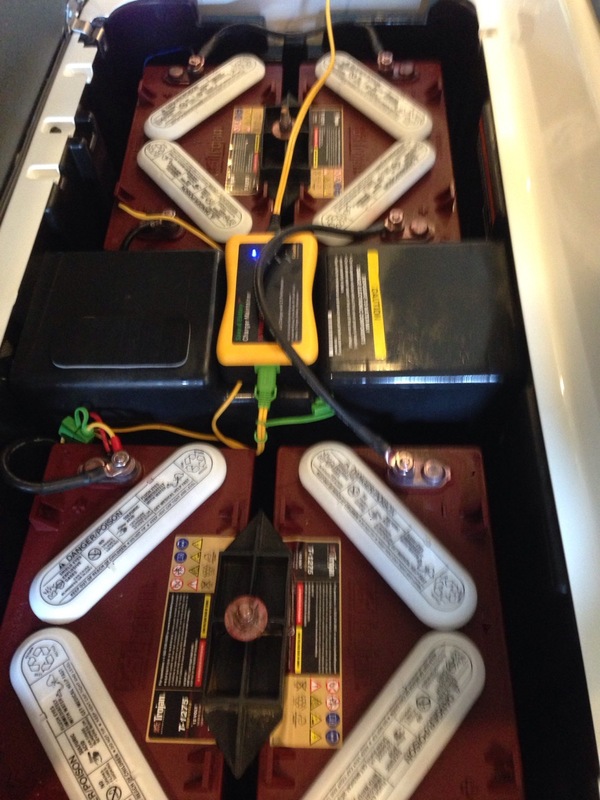 Hauling coolers and gas cans down to the boat is no problem with the fold out flat deck! 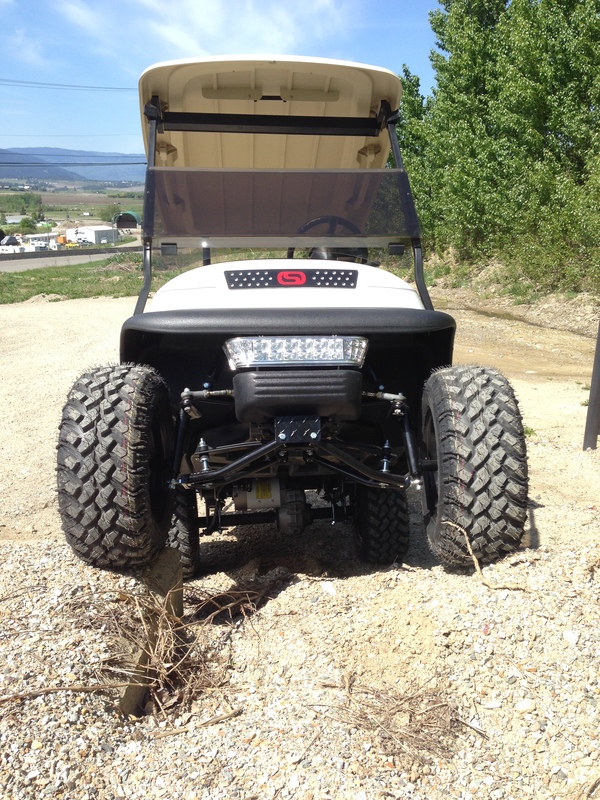 Remember we said capable, this beast has awesome ground clearance and plenty of torque to spare! It can crawl up just about anything! 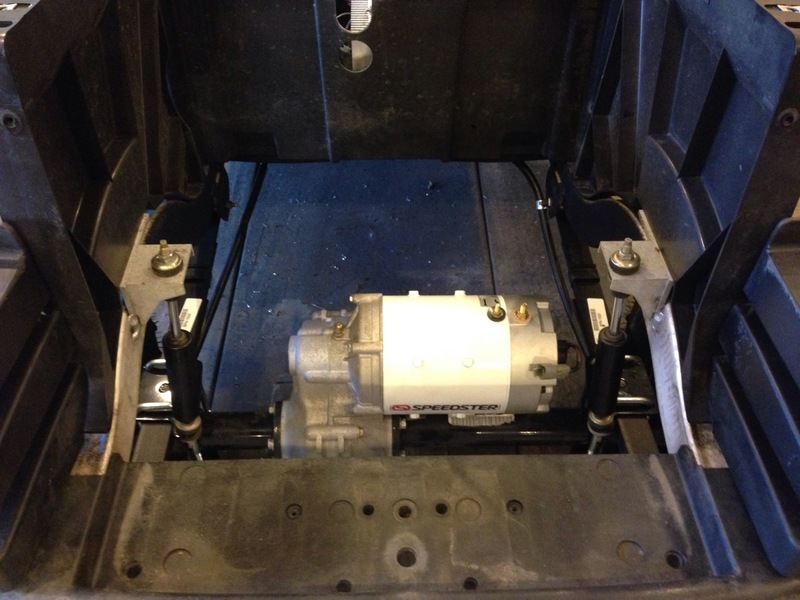 The Speedster motor peaking out from under the cart! What a mean stance this Precedent has…hard to believe it started out as a golf ball chaser! 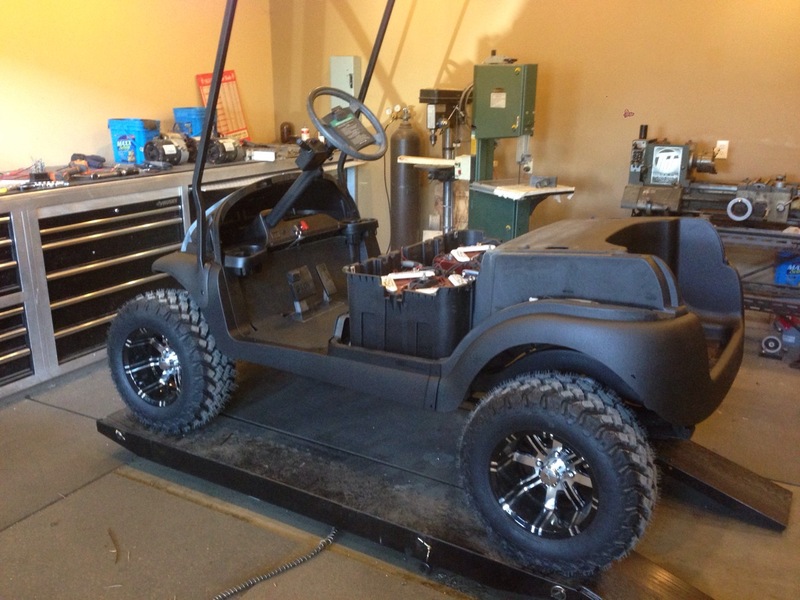 One last look at this sweet cart before we load it up into the trailer and get it to it’s new owners! Thanks for checking it out, head to our Facebook page to see the delivery later this week! Didn’t see part 1, it’s right here!